I enjoyed the opportunity to attend the Joint Warfare Conference last week, and appreciate Andrew Davies’ inspiration  to write about ‘jointness’ and its relevance to 21st century warfighting. Andrew’s case rests on some pertinent examples in recent Australian military history, showing the importance of various current Australian military contributions to wider coalition actions including in the air over Iraq and Syria, at sea around the Horn of Africa, and recent operations in Afghanistan and Iraq in challenging land environments. However, the proposition that interoperability between cooperating military forces is mostly a binary choice between multilateral interoperability with a coalition partner—perhaps the US—or joint interoperability within the ADF is a false dilemma, and it perhaps needs more consideration. Military operations, for many years, have required a far more nuanced approach—not only to understanding where one side may draw its strengths, but also where it acknowledges its interdependencies. And while superficially our current operations may appear as simple Service-based contributions to a wider coalition effort, each relies deeply on a less-evident suite of sophisticated joint enabling efforts provided by the wider ADF, such as intelligence, resupply and sustainment, command, control and communications, and protection of that visible deployed force involving both passive and active measures. However, it would be fair to say that this current crop of selected military operations isn’t fully representative—either in historical terms, or perhaps more importantly—in terms of what Australia may expect of its Defence Force into the near and foreseeable future. Seventy-five years ago, Australia entered into global conflict with an approach that produced components to a larger Allied force—led initially by the UK. The 2nd AIF’s design was based on service-level compatibility with British armed forces of the day. The design basis for this force quickly came apart with tragic, almost irrevocable consequences as the war came to the Pacific. Australia was initially unable to coherently mount joint responses to the Japanese land, sea and air onslaught, particularly in relation to joint littoral manoeuvre—a favourite topic du jour. The salutary lesson is that there are times when a nation will effectively operate alone against adversaries and must maintain a certain level of joint cohesion and capability to safeguard its intrinsic national interests. Could such events occur again? Australia was able to generate a credible core joint force around which INTERFET was built. This was a force that could operate competently across the joint functions of command, situational understanding and generation and sustainment of large, complex and modern force. At the same time, it was able to project itself, protect itself and apply its effects in a careful and sophisticated manner that respected Indonesia’s sovereign interests while safeguarding Timorese human rights in a degenerating security situation. Searching for examples further afield, we may consider the UK and its defence of the Falkland Islands in 1982 as a still-relevant example of the reliance placed on joint warfighting to underwrite the prosecution of sovereign national interests. Beyond such historical examples, as exponents of warfare we must equally consider the vital contribution that other national agencies contribute to the overall strategic effect. Here we should acknowledge the importance of interoperability and concert of effort between ADF elements and our intelligence and law enforcement agencies, among others too numerous to list. Few would dispute the absolute necessity for interoperability across the agencies involved in recent Australian border protection operations. None of this refutes the importance of being able to operate effectively with a range of international partners. Those include our allies like New Zealand and the US in particular, but equally our regional partners across the Indo-Pacific. 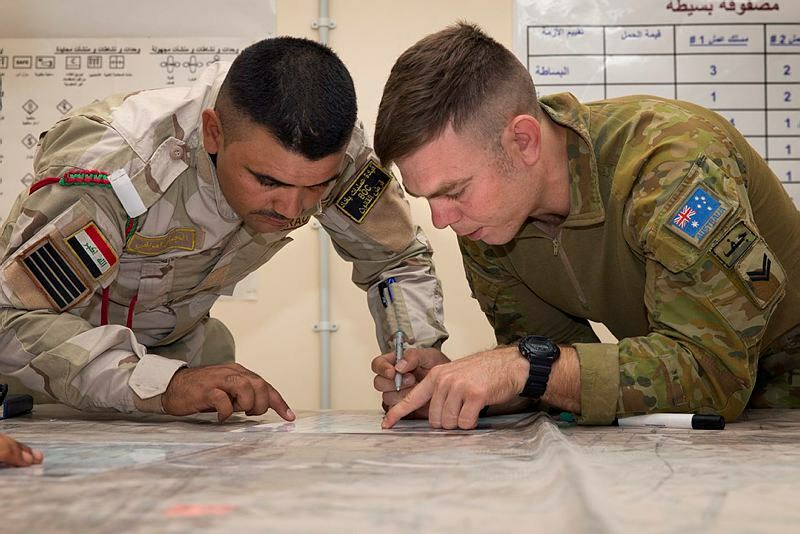 Fortunately, the ADF is more than alive to this complex conundrum of striking the balance of investment between, among and across the competing factors of multilateral, multiagency and joint interoperability. This interoperability is described both as common conceptual approaches as well as in terms of levels of integration of systems necessary. Under the aegis of the Vice Chief of the Defence Force, Defence is well under way in considering and articulating its vision of a joint force by design—that is, a force that is designed from the outset to deliver effects that operate across the traditional physical domains. Gone is the design approach of each Service ‘come as you are’ to a conflict, and ‘joint’ is simply a purple glue with which we hurriedly connect our force together. The ADF’s view of the future is one involving close cooperation with many partners in many contexts for many purposes—and at the centre of all of these will be the ADF as a cogently designed entity. Are we there yet? No. Is our future vision clear? Perhaps we can leave that to the CDF’s intent expressed at the same Joint Warfare Conference, of a Joint Force that is: fully integrated across all domains; composed of both uniformed and APS Defence elements; connected across all entities and all domains; agile enough to adapt to the unforeseen; rapidly deployable; scalable to suit the task; and flexible in its capacity to either lead or support coalition operations. For the CDF and all his senior leadership team the vision for the joint force is: tri-service (in qualitative, not merely quantitative terms); multi-agency; whole-of-Government; and multinational. Angus Campbell is Chief of the Australian Army. Image courtesy of Department of Defence.